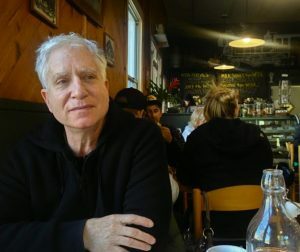 Jeffrey is the author of three books of poetry: Rumor of Cortez, nominated for a 2006 Los Angeles Times Literary Award in Poetry, Mortal, Everlasting, which won the 2002 Transcontinental Poetry Prize. A third book At the Kinnegad Home for the Bewildered is forthcoming from Salmon Press in February 2019. His many poetry prizes include the Larry Levis Prize from the Missouri Review, the James Hearst Poetry Prize from North American Review, the Mississippi Review Poetry Prize, the Ekphrasis Poetry Prize, and the American Literary Review poetry prize. His poems have garnered 14 Pushcart nominations. A graduate of the Warren Wilson MFA Program for Writers, Levine is founder, Artistic Director, and Publisher of Tupelo Press, an award‐winning independent literary press located in the historic NORAD Mill in the Berkshire Mountains of Western Massachusetts.